Are you looking for a way to help your business unleash its potential? As a Corby based business you are invited to join us for a FREE bacon roll and learn how to grow your business in 2016. Ruth Roan, Business Adviser for Velocity Growth Hub will be helping you develop your business, identifying funding and investment opportunities and sharing some quick wins on how to grow your business successfully! 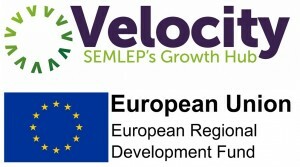 Velocity Growth Hub, delivered by the South East Midlands Local Enterprise Partnership (SEMLEP), is a focal point for businesses looking to grow, offering an unrivalled choice of FREE one-to-one advice, workshops, training, networking and more, all tailored to your specific needs.